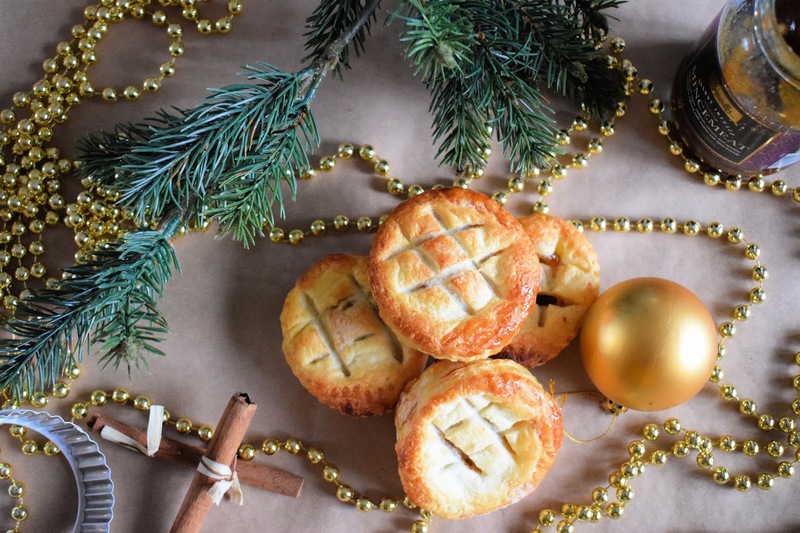 When its comes to festive treats in the UK, the humble mince pie has got to be one of the most consumed goodies at Christmas, with millions being eaten over the season. I must say I am pretty fussy when buying mince pies, and now I have a dairy free diet, it is even harder to buy nice shop bought cakes and pies, including mince pies. 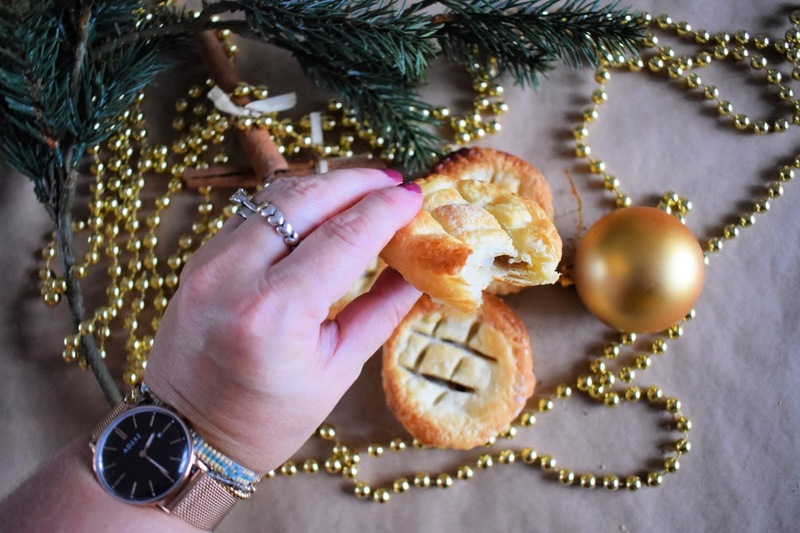 Throughout the year I have been in the kitchen making homemade treats and decided I would do the same with the mince pie, BUT I would jazz it up a bit and use PUFF PASTRY instead. Not only do I much prefer puff pastry, but it turns out most shop bought ready rolled sheets are in fact DAIRY FREE (vegan) . These mince pies are so easy to make whether you are a bit of a pro baker, or a complete novice. It is in fact a stretch to call it a recipe, but we enjoyed eating them so much I wanted to share them with you. Put the oven to about 220c and grease a baking tray, I used spray oil to do this. You will need two round cookie cutters, one slightly bigger than the other, from the rolled out pastry using the smaller cutter, cut out the bottoms of your pies. Transfer them to the greased tray, spoon in a teaspoon of the mince meat and brush round the edges with milk. Use the bigger cutter to cut out the corresponding pie lids, I then used a sharp knife to cut a criss cross design in the middle of the lids, for interest and to let in a bit of air. Stick the lids onto the bottoms of the pie and press round the edges with your fingers or a fork to make sure the pies are sealed. Sprinkle with caster sugar and pop in the oven, cook until puffy and golden on top, around 10 minutes. Place on a cooling rack to cool then store in an airtight container, or if you are like me, eat immediately, with a nice cuppa. We enjoyed eating these so much, I anticipate baking a fair few more batches over December, for me the puff pastry adds a whole new dimension to the mince pie, and I prefer it. Let me know if you will be trying puff pastry mince pies? These sound so good and I can't believe how easy too. I will have to try.